Staff meeting. Friday morning. June 9, 2017. 8:40 am. Room 803. Sixth grade hall. I saw Shorebirds dancing in the surf. The tension was thick. The teachers were huddled among the kids’ desks wondering, waiting, pondering their fates that hung in the stale air of this old science room. I sat among them, trying to blend in, untethered from their concerns, drifting on a headwind that carried me far away. Suddenly, the door opened, and the assistant principal walked in clutching a briefcase. Silence. He played with the computer for a minute and then flashed a color-coded schedule upon the Promethean Board. Everyone squinted. Discerning eyes dissected the spreadsheet. Silence. Hard thinking. Whispering. More whispering. Dark eyes. Troubled expressions. A smile here and there. More whispering. An explanation from the AP. Silence. Furrowed brows. I saw Shore birds dancing in the surf. A question from a teacher in the back desk. The answer was quick, curt, sterile. She studied the spreadsheet again. She sighed. Brow furrowed. Another teacher drew closer to her. Comfort. Anxiety. Consequences. Nehemiah walked the walls and noticed the change of mood. The people had been working with such joyous determination for days. The new vision of a restored city with strong, solid walls had lifted them all to new heights. But threats from Sanballat, the governor of nearby Samaria were spreading among the workers. Quickly fear ravaged the workforce. Nehemiah saw it in their faces. They had suddenly given up. And then there was a moment of brilliant inspiration. Nehemiah knew what he would do. He called the people together and told them something startling. He would teach them how to become warriors. He would give them reasons to fight. He would distribute weapons. And when he did these things, the people rose to the challenge. The work resumed. Vigilance reigned. Sanballat watched from afar but did not attack. Can we learn something from this ancient remedy to paralyzing fear? I think so. Just pick up the weapons God has given you and become a spiritual warrior. The quarterly church conference began with prayer and the quiet reading of the minutes. Then Tommy Hines presented the matter at hand–a leaking roof. He reminded everyone of the soaked front pews and soggy carpet that followed a recent storm. The roof needed vital repairs. The cost to replace the entire roof was exhorbitant–over $100,000.00 A smaller repair would be adequate, however. Everyone sighed and voted for the smaller repair. I stood and watched and remembered how it was when the school year began. He was assigned to be my mentee and I was the mentor. Most teachers grumbled about this new task forced upon a staff already underwater with a workload that had us all gasping for air. Ahmed didn’t understand any of this. He just knew he was a new kid in this country and I was his mentor for the year. He was a mess. Coming from an impoverished family, he was learning American culture a day at a time. He missed so many days because of endless turmoil at home. And when he came, he wore crumpled shirts looking like a shoddy mannequin at a Goodwill store. We laughed. He missed the whole thing! Oh well, it was all just fun. It was mentor day and we were in Commons 2 bonding along with the other 25 mentees. I tossed and hit the hole. “Wow!”, he shouted. He tossed and the bag slid right across the corn hole. If only life was this majestic. My sermon Sunday, A Tale of Two Sisters, led us to the country door of two unique women (Luke 10::38-42). Martha was the busy one, the pragmatic soul who got things done. She often worked while her sister, Mary, sat. Martha was a bit of a perfectionist. She wanted the lavender napkins on the table with the gold-rimmed china. Mary, on the other hand, was the dreamer. When Jesus stopped by for a visit, Martha prepared the meal and set the table while Mary sat in the living room at the feet of Jesus just listening to Him talk about life’s abstractions such as forgiveness, love, the meaning of life, heaven. Martha complained to the Master, but He chided Martha for worrying too much about trivialities. Mary had found the “optimum partem” (the best part) or perhaps the secret to life. She sat and just listened. Jesus commended her for this. I think we need both women, both personalities. But the Lenten season is more a Mary time than a Martha time. He said his name was David and that he was the Health Inspector in Onancock. We chatted a minute and then he took a seat and I scurried to the front to lead the service. I thought about it later and wondered what he thought of our health. I had never had a visitor stop in to check on such things. But he stated his life’s calling quite clearly when he could have easily omitted it. He was the one who gauges health. And he was here at our church. And so naturally I wondered how the inspection would go. Would he find us well and healthy or perhaps a bit anemic? Would he feel the need to write a hasty prescription? Did we need an urgent dose of expensive medicine? Should we go in for a further diagnosis? David, the Health Inspector, seemed engaged with the sermon as I spoke. He nodded a few times at certain points and his brow furrowed occasionally as he gave some ideas deep reflection. I could see him making mental notes, fiddling with the Hippocratic oath, making connections. After the benediction, I hurried to the back to get his prognosis. After all, it’s quite rare nowadays for Health Inspectors to make house calls like this. But to my dismay, when I wove through the crowd toward the exits, David was gone. I asked a few people about him, but no one seemed to know. Perhaps he felt compelled to rush back to the office, consult his learned tomes, search for comparables among other patients and then polish off his report. So…, I haven’t received it yet, but if anyone reading this has seen David, the Health Inspector, from Onancock, please let me or Mark Mize or Cindy Milliner know. (I hope the report was a good one). The kids and I sat tensely waiting. They chattered quietly pretending they weren’t frightened. But smoke and chaos had been unleashed when the first notice of the bomb drill came, and now we all sat huddled in anticipation of its possibilities. And then the promised alert sputtered over an antique intercom system. “Attention faculty and staff. This is a bomb drill. Everyone proceed calmly to the nearest exit.” The words, ‘proceed calmly’ might has well been Yiddish. No middle schooler ever proceeded calmly anywhere. I flipped off the room lights and pointed my eighth grade kids to the exit down a narrow hall. They spilled out onto this interstate joining the sixth and seventh graders all jostling for space, shoulder to shoulder, feet kicking heels, stirring up squeals of protest mingled with adrenaline long squashed by mathematics and essay writing and other dreaded school tasks. As I bobbed along in this maelstrom of youthful exuberance, head and shoulders above them all, I watched the sea of life wash out doors normally locked and onto open fields behind the school. Sunlight scorched our eyes. The fragrance of football grass filled the air as each grade and class lined up on white streaked yardage markers. Teachers blew whistles and kids stumbled into makeshift lines while names were called to find the missing souls. There is something invigorating about bomb days. If only the world’s terrorists could walk where I did today perhaps they would see things differently. Bomb days were never meant to be destructive affairs. Bomb days are rare moments in young lives to jostle down hallways and giggle and feel the friendship of adults who guide them to safety. Sunday, we followed the exuberant and brash Pompey, only 24 years old, as he forced his way into Rome in the year 80 BC. He refused to wait for the Triumph to be offered for his spectacular victories in Africa. So he hitched his chariot to some African elephants and stormed the Tiber bridge. Unfortunately, he couldn’t get the elephants through the main gate leading into the city. Such an embarrassment! Compare this triumphal entry to that of Jesus who rode a humble donkey into Jerusalem on Palm Sunday. The Gospels tell us that “no one knew his name” (Matt. 21:1-11). Such a contrast between Pompey’s triumphal entry. Everybody knew the general’s name and his reputation for slaughter and mayhem in Africa. I prefer the Savior’s humble entry. (But that’s just me). I was the last one out Sunday! I stood with my untested key at the door and glanced once last time across the silent pews. Gone was the happy chatter, the buoyant greetings and rediscoveries that make Sundays in the pews so refreshing and compelling. The silence was sad for me. There was no singing organ with its pipes in full throat leading the congregation in Amazing Grace. The Lord’s Prayer wasn’t whispering its sacred truths. The offering plates weren’t beckoning for support. The prayer requests hid in the darkness. I sighed and slipped the key into the lock. It fit. It turned. It locked. It seemed to good to be true. But other teachers I trusted said it worked. It defied logic, but then so does gravity. “All you have to do,” they said, “is shout out two words and your kids will freeze in their tracks and become totally silent. The transformation was immediate! As I looked across the silent room, frozen images of previously frenetic kids were now locked into a still picture much like that of Rembrandt’s “The Storm on the Sea of Galilee.” Hands were extended in mid air–motionless. Eyes were locked in querulous stares across the room. Sentences were half finished. Jokes suspended. It was as if time had stopped and the very meaning of existence lost in a fifth dimension. I found myself, for a split second, worrying. Would I be able to retrieve them? Could they–would they return? But then I put these somber thoughts away and did what every normal teacher would do–I danced for joy weaving in and out of these Greek statues, giddy with my new found power. And then a hall bell sounded and…. The sunrise sermon text was from John 20:1-18. I reminded everyone of Jim Ryun’s exploits as a high school runner. A failure in all of his middle school sport’s endeavors, he stumbled onto long distance running. Within a few races, he began to set records. While a high school junior he ran a sub-four minute mile, a record that stood for 36 years! I noticed that in the story of the empty tomb, there was also a lot of running. Mary ran to the tomb in the early morning. Then she ran to get the disciples. Peter and John ran to the tomb. They too then ran back to their friends. All of these early morning discoveries ignited a flame of hope that still permeates the hearts of millions of believers worldwide. It was the Apostle Paul who also added a running note. He said that because of the empty tomb, he now runs a long distance race to win the imperishable wreath. I woke up at 5:00 am sleeping in a small bunk bed as a guest at Wayne and Dale Parks’ home. Their seaside house was near the ocean and close to the sunrise gathering area. The 6:15 am service was drawing close. I dressed in jeans and comfortable clothes and strolled outside. The absence of any city lights seemed so strange. The darkness was profound and silent. I smelled the ocean. I wondered if anyone would come to this remote place at such an early hour. I walked along the unpaved driveway that wound through a patch of trees. Morning birds tweeted “Easter. Easter.” A slight breeze fluttered the darkness about me and I felt a sense of calm that often escapes the frenetic city dweller. At first they seemed like distant stars sitting on the horizon tucked behind the trees. But then as the lights darted and twinkled, the quiet hum of a car engine approached and passed down the dirt road interrupting my reverie. A few minutes later three more cars approached weaving in and out of this morning dream until they too rested at the edge of the ocean beside the humble cross erected on the seashore. 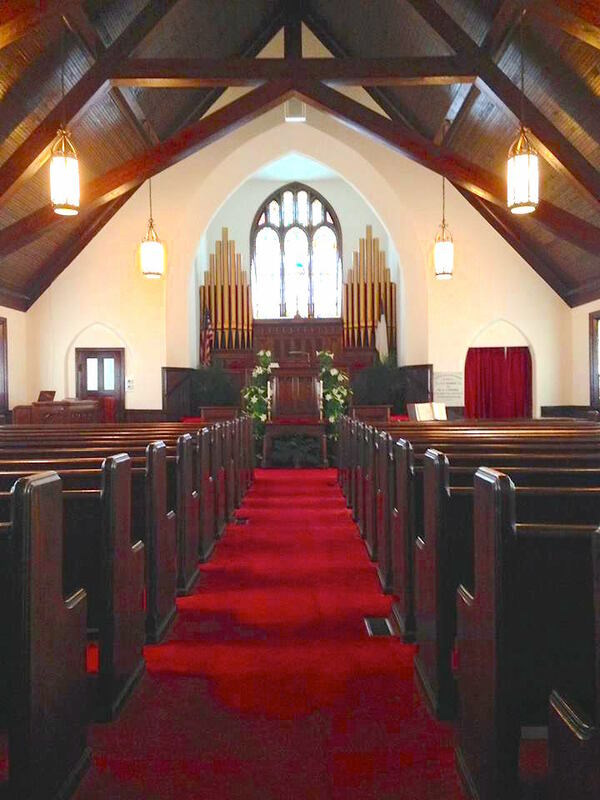 When the time came for the service to begin, two congregations (Drummondtown and Zion) merged as one and sang Easter hymns acapella as a few locals waded waist deep about 100 yards off the shore working oyster beds. The sun rose with brilliant dignity as I spoke of the early disciples running to and from the empty tomb. I stood at the door of my 2B class wondering if I had made a mistake. After all, I had not seen my students in two weeks, and I did have the “rocket” stuck in my nose. (The rocket was an inflated tube the emergency room placed in my nose to stop the bleeding until I could get to the ENT. Kids can be brutal at times). The hall was still empty, but it was 9:00 am and I knew they would be here in a few minutes. I checked my watch again and wondered if there was time to bolt for the back door and not risk a slow death at the hands of ravenous middle schoolers. Too late! The bell rang, and they were coming. I stood my ground, helplessly. But then a magical thing happened. A group of five girls saw me and stopped for a second, their hands over open mouths. Then they rushed closer asking if I was all right. They each hugged me and I tried to reassure them that I would be fine in a few days after surgery. After several minutes of lingering protectively near me, they ambled off reassured. I noted that some of these very girls had been disciplined by me on several occasions during the year for talking etc during class time. But none of that seemed to matter to them now. Now they saw me merely as a friend, a friend in some kind of dire straits. As they wandered off, I realized that their education had moved beyond merely memorizing certain facts about a subject. Now they were young women reacting maturely and with sensitivity to life itself. And I felt proud of them and reassured that a new generation of young adults was on the rise in America. Since I wasn’t at church Sunday, I will take you back to my old seminary days when I was just an aspiring minister with no experience. I was attending the New Orleans Baptist Theological Seminary, the second oldest seminary of the Southern Baptist Convention founded in 1917. It is a beautiful campus of over 75 acres. Originally this site was an old pecan orchard and even today the campus has old time trees with thick-barked branches that hang heavily with a gravitas unique to the deep South. I had signed up for a public speaking course. This had not been my choice. Greek, Hebrew, history were my preferences, but public speaking was a pretty basic requirement for budding ministers. I knew all along that I would eventually have to stand in front of the other 25 young preachers-to-be, but I tried to dismiss the notion since I lacked any confidence in this domain. I had to miss Sunday, but the pews were not silent. As Sandy Kennedy said in her email to me, “We have so much talent in our small church.” She was referring to several members that rose up and filled in for me. As I understand it, Mark Mize and Tommy Hines played this role Sunday. It was a lot to ask of these men to stand up on short notice and offer spiritual insights to the congregation. But from the comments I received, they did just that. I want to thank them and all others who helped in my absence. “What’s it called?” I asked intrigued. I searched my mind for the three Puerto Rican words I knew. This wasn’t one. “What does it mean?” I asked him. He smiled innocently, his eyes dipping slightly. “Slowly,” he said. I found the song and turned up the volume. The music seemed to crawl inside him. He emerged a chrysalis dreaming of distant possibilities and began to sing, his arms punching the air accenting the lyrics. I realized, as I watched him dance Puerto Rican style about the room, how culturally different we all are, but how in many ways we are so much the same. A simple love song can grip any soul and make us all look like fools. I wrapped and presented three little gift boxes to the congregation in this sermon. (Christmas is only 240 days away). I got an early start. None of these were on the WalMart shelves. I checked. Not there. My first gift comes in a lovely floral box–PEACE. Paul often offered this gift to his congregations. Here it is. Doesn’t look like much, but I want each of you to have this. It is an elusive gift. Few people today seem to have it. Liz Taylor’s auction of her jewelry netted a cool $115 million. But it couldn’t buy this gift. I read that half of all Americans go to sleep worrying. This gift will greatly help with this burden. With this gift, your priorities will be adjusted and the less important things of life will flutter to the floor. John mentions this gift in John 14:27. “My peace I leave with you. My peace I give to you…” said Jesus. I want to give you this gift, but unfortunately I can’t It is not mine to give. You’ll have to see Jesus after the service. He will gladly bestow it to you. I didn’t know her long but in the short time our paths crossed I saw her many fine qualities and love for her family, church, and community. It’s hard to say goodbye to someone only 43 years old. But then we know there are no real goodbyes in the pews, only farewells until we gather again in the dwelling places God has prepared for us all. There will be a visitation at Thornton Funeral Home in Parksley this Saturday (May 6) from 6-8 pm. The funeral service will be at the Drummondtown Baptist Church at 3:00 pm on Sunday with Dr. David R. Denny and Rev. John Cullop officiating. Interment will follow in the Edgehill Cemetery in Accomac, and a reception will follow at Mallard’s Restaurant in Onancock.